I just learned about a cool website called KneeBouncers. It looks absolutely perfect for Thing 3 because he is always trying to use the computer like his big brothers, but he only ends up clicking the wrong buttons and hitting the wrong keys. 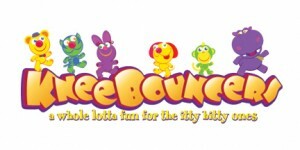 KneeBouncers gives babies and toddlers the opportunity to play on the internet, without the use of a mouse. Loaded with games, little kids can make magic happen on the screen with any tap on the keyboard. All the keys do the same thing, so they can’t mess it up. Brilliant! I especially like that the site was started by two dads. Reading their story, I know exactly where they are coming from. A third child that tries to keep up with their older siblings, gets frustrated, and causes trouble for everyone? Sounds a little familiar. I will be trying KneeBouncers this weekend with Thing 3.? We’ll see how it goes.